When Black Grace, a dance troupe of Pacific Islander and Maori men, first burst onto the New Zealand stage in 1995, they were a revelation. Fusing traditional Pacific and contemporary dance forms with athleticism and grace, they electrified audiences. 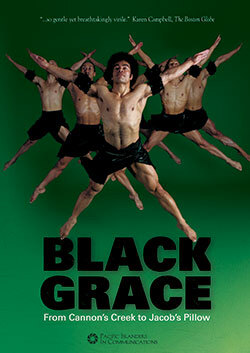 Led by Artistic Director Neil Ieremia, Black Grace evolved from a crew of Neil's "mates" into one of New Zealand's national treasures.